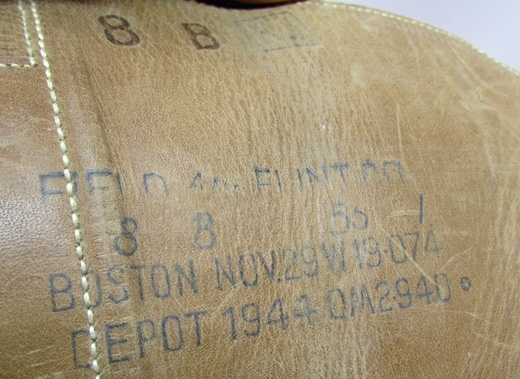 Item #47278 : Original period manufacture. 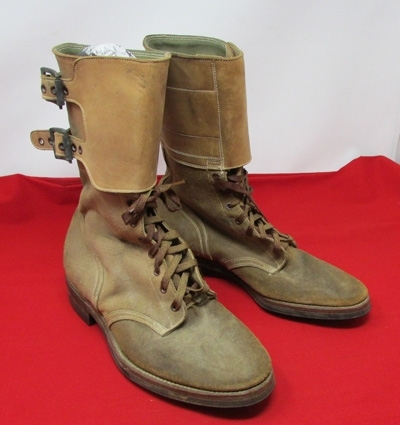 Classic GI combat boot of WWII. 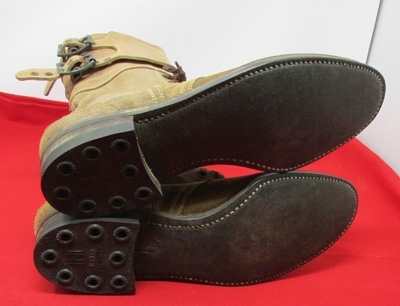 Brown leather uppers with black rubber soles. 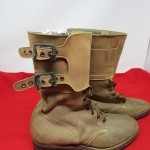 Boot laces, twodarkened brass closure buckles on each leg cuff, dated 1944 on the inside of the cuff. 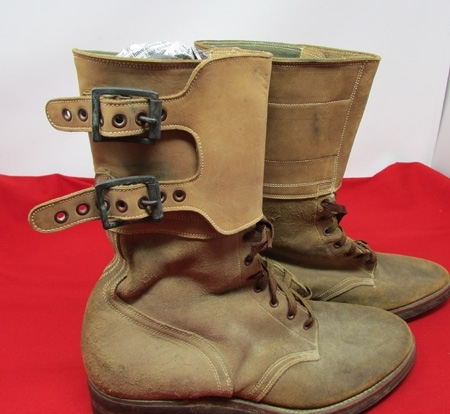 The boots are in very clean condition, exhibiting very light wear and use; though in asmall size they would be perfect for a WAC display.